True Vintage original prints, usually made the same year the photo was taken. Some will have crop marks on the front or writing on the backside done by the newspaper or magazine that printed it. See full description on each photo. 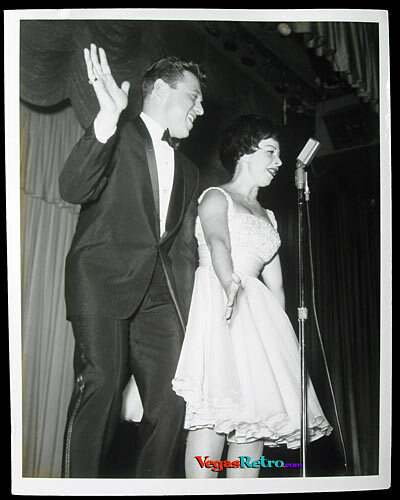 This vintage print of Steve Lawrence and Edye Gorme likely came from the Las Vegas News Bureau from their first appearance together at the Sahara Hotel in March 1961. It is a 7x9" glossy print and is in excellent shape.